Akshay Kumar News, Akshay Kumar dedicated award to Aamir Khan,Akshay Kumar’s Friendship with Aamir Khan,Latest Akshay News,Akshay Kumar Movies in 2009,Akshay Kumar Horoscope 2009,Akshay awarded for Singh in Kinng. Recently, Akshay Kumar extended a friendship hand to Aamir Khan by dedicating an award to Aamir Khan. 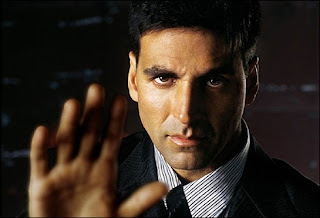 The occasion was of Star Screen Award ceremony and the moment was of Akshay Kumar declared as the Best Actor in the Nokia Popular Viewers’ Choice awards for “Singh is Kinng”. King of Bollywood, Akshay Kumar was called upon the stage to receive the award and he said that he has watched “Ghajini” and feels that Aamir deserves this honor than him and left the stage without collecting the trophy. On the other hand, Aishwarya Rai was awarded with the Nokia Popular Viewers’ Choice awards for Best Actress in her movie “Jodha Akbar”. Others awarded in the Star Screen Awards were Hrithik Roshan and Priyanka Chopra as Best Actor and Best Actress for their roles in “Jodha Akbar” and “Fashion”.